[toc]It is extremely important to trace out the allergic element and keep it away from the patient. People suffering from allergies can get relief if the surroundings are kept clean and allergen free. Vaccinations can cure allergies but they always do not prove to be fruitful. 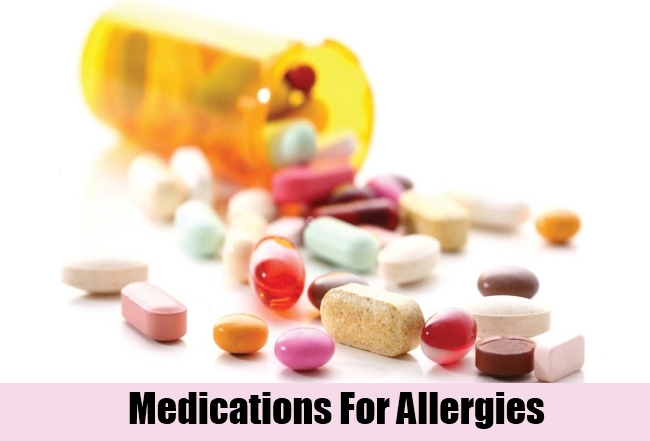 Anti-allergy medication is very commonly available in almost every medical store and even in some grocery stores. Antihistamines are the most common type of anti-allergic medication available and you can buy these without any prescription. These primarily serve to prevent histamine release resulting in decreased or no swelling of tissues suppressing allergy symptoms. Decongestants are also quite effective since they serve to clear the airways to the lungs keeping you safe from suffocation in case of severe allergic episodes. 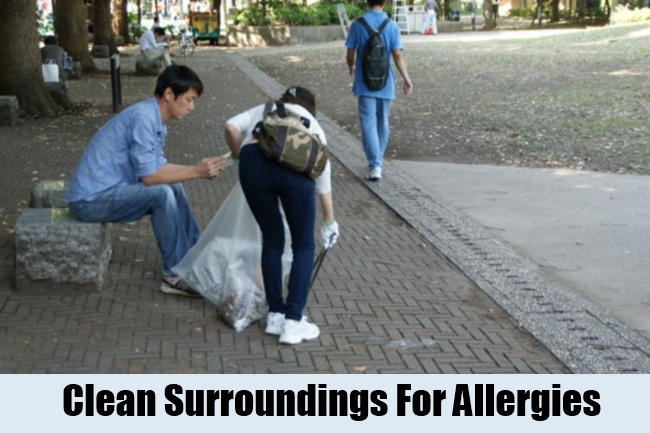 Allergies are most commonly seen to originate from pathogens found in unclean surroundings. Keep your environment clean. Remove mould deposits and the plants which release spores which you might be allergic to. Allergies originating due to environmental factors can be easily cured by removing the factor responsible. Have a clean, hygienic environment without being exposed to possible allergens. Clean the indoors and keep tabs on plants nearby that could be the cause of frequent allergy attacks. These two vegetables are very effective in controlling allergies. They have anti-inflammatory chemicals in them that reduce and even prevent swelling and choking of your airways. It forms a very important factor to pay attention to during a sudden allergy attack. 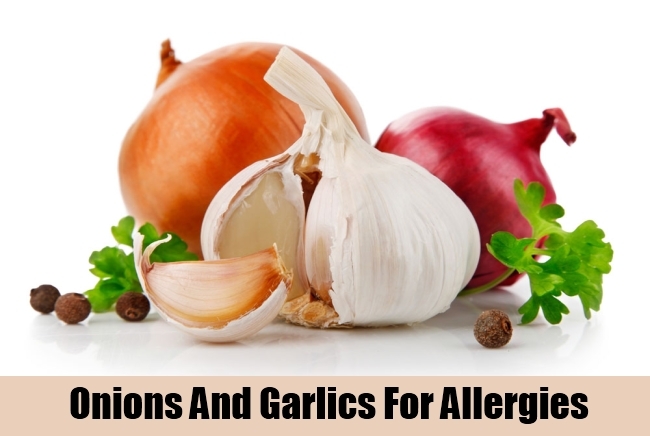 Besides this, garlics also lower blood cholesterol count resulting in a body capable of fighting infections more effectively. An average-sized onion or ginger a day can work wonders in addition to eating one whenever an allergy attack occurs. This is another very important method that can be incorporated into your lifestyle to prevent frequent allergy occurrences. Allergic attacks occur when the body’s immune system gets damaged resulting in catastrophic responses. A healthy immune system is more capable of combating infections. A diet with a balance of vitamins and minerals, together with multivitamin supplements can serve to help you cure the allergies to a huge extent. This is an easy method and everyone can follow. 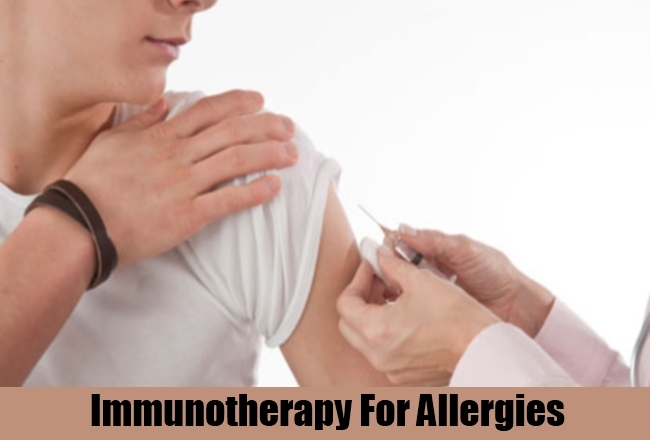 Allergies can be cured by immunizing against certain pathogens or toxins. 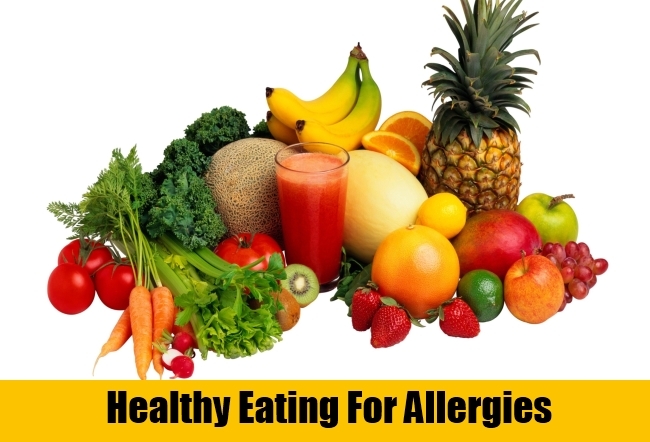 This is usually done by stimulating the body’s immune system with small doses of the allergen. The body acts on this stimulus, but it isn’t enough to cause an allergy attack. Repeating this step a number of times increases the body’s tolerance to that particular allergen resulting in the allergy appearing less or even disappearing completely. This treatment lasts a few months, but is usually worth the effort. Allergies are a great inconvenience to people who suffer from them. 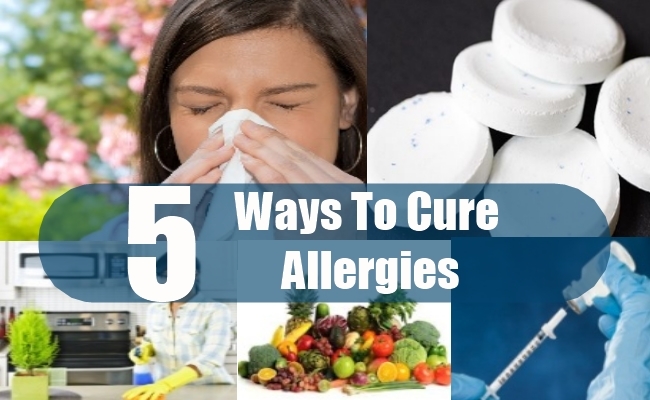 Fortunately, a few common, convenient measures and some care can cure allergies to a certain extent.